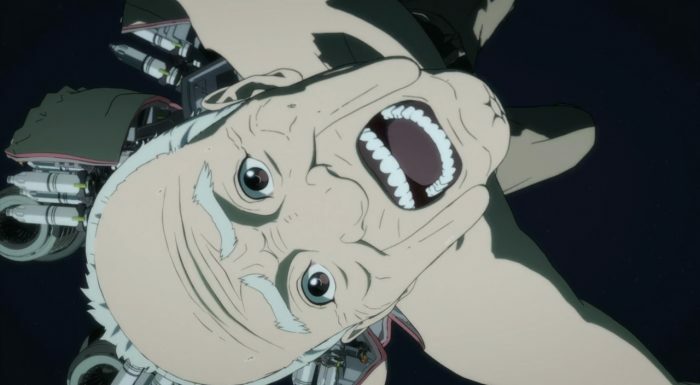 Inuyashiki seems like its a tale of two very different sides. While the last two episodes had us focus on one of the two primary main characters, this week more or less continued the story of each character in a similar vein, opting to juggle both equally. Be that as it may, I do believe that even three episodes in, its still really hard to pin down what Inuyashiki is going for with everything its doen thus fa. It still feels like we’re in very much in the rather early parts of the story. This week’s events actually felt like a micro crawls, in terms of progression, slowly but surely inching us forward to whatever the big end game is. There were, however, just enough wrinkles added to both Ichiro and Hiro to, thankfully, keep things interesting. On the whole, each character still seems to be going down whatever path they outlined in their own introductory episode, while continuing to understand their own powers. Ichiro continues to use his powers for good, saving as many people as he can while trying to keep a low profile. I find myself really enjoying the Ichiro side of the story, and I think there’s a reason for why the show is titled after his name, rather than Hiro’s. Moreover, I think Ichiro’s discovery of his powers feels a lot more clumsy and almost awkward, which is an interesting twist given how older and potentially more experienced he is. The part of the episode where Ichiro rushes to save a family from a burning building for example, is ripe with those same “awkward” moments that are both endearing and kind of funny. Its only after Ichiro sings the theme song for Astro Boy, and uses that whole idea to visualize flight, that the guy is able to actually fly (after a few attempts) in order to get to the burning building with the people in need of saving. That whole scene contrasts so starkly to Hiro, who effortlessly flies off at the start of the episode when Ichiro confronts him after his big murder spree. Its quite clear that Hiro is a natural at figuring out his abilities, and that the show is obsessed with constantly comparing and contrasting him with Ichiro. Its not just the whole idea of flight either, every thing we see this week for both characters, seems to draw a weird parallel with the what the other is doing. Ichiro uses his new found power to save a salaryman who ends up angering some street punks, and does it while flailing and looking rather stupid. The end result is what you’d expect, Ichiro saves the salary man, who profusely thanks him before he leaves. On the flip side, we see a continuation of the whole Ando storyline that the show used to introduce Hiro, from last week. Hiro actually does manage to get Ando to come to school, and even takes care of the bullies making his life miserable, but the results are a lot different. For one thing, Hiro doesn’t just beat up with the bullies in question, he does that and then proceeds to kill them from afar. The stone cold, apathetic use of his powers, does not, however, impress Ando. Ando’s a good kid at heart, and while he struggles with the pressures of society, he doesn’t condone violence, stealing or abuse of power. To that end, by the end of the episode, Ando ends up asking Hiro to basically part ways with him, which Hiro oddly complies with. The whole “I want you to come to school” thing seems like its indeed genuine, and not just some farce that Hiro is using to justify whatever it is he does. He clearly does care for Ando, and his surprise at Ando wanting to distance himself is genuine. It also shows just how broken Hiro is, and how the only rules and morals that he plays by, are his own. Hiro has his power, he knows the extent of it, and he’s not afraid to use it to flat out breakdown and stir up society as a whole. The problem is that Hiro’s approach to doing that, is more or less in service of himself. Again, contrasting that to Ichiro, who’s disrupting the natural order of life and death by using his healing abilities to cure terminally ill patients, and you see the exact opposite approach, albeit with the same basic idea behind it. So yes, its clear that Inuyashiki as a show, is using its two very different super powered characters in contrast to one another. Its also clear that there’s this disruption happening because of their new found powers, and said disruption is markedly different. The bigger question though, is where this all leads to. While its definitely interesting to see Ichiro and Hiro both use their powers in different ways, I don’t think its enough to carry this show as a whole. We need some kind of larger, stronger conflict to anchor this show and really give it a sense of purpose. The easiest approach is pitting Hiro against Ichiro, but if that were the main focus, then the show wouldn’t have pivoted away from that idea at the very start of the episode. So I guess its safe to say that Inuyashiki as an anime series, is still a bit of a mystery. What the show ultimately ends up being, and when it decides to reveal that, is I think the key issue that it has to address, sooner rather than later.